8.5 oz / 255 ml spray bottle. Safe for newborns and older. Scented with our special Calming aromatherapy blend that includes French lavender. 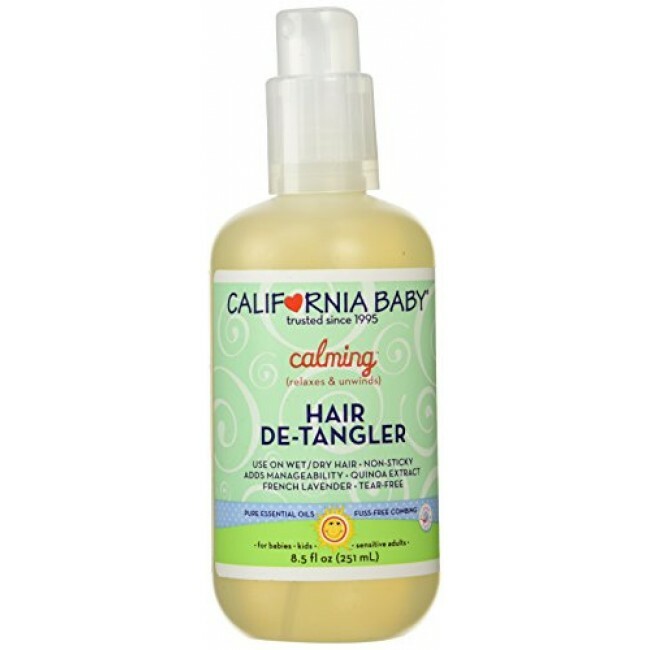 Herbal emollients and light, fresh aromatherapy essential oils work together to de-tangle and soften hair. 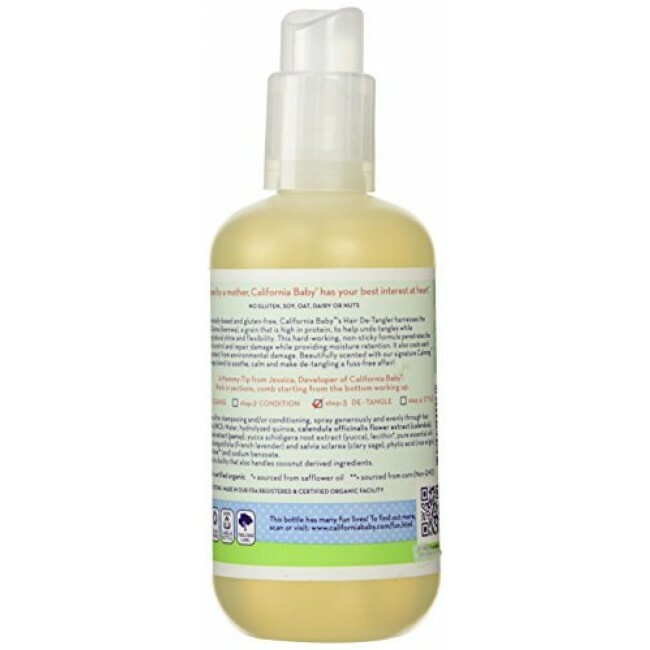 Natural sunscreens of willow and pansy protect baby's hair from the harmful rays of the sun. No-tears formula. No nut oils, gluten, soy, oat or dairy. Made in the U.S.A.